After being introduced in Paris, the latest line of Huawei smartphones is here in the Philippines. 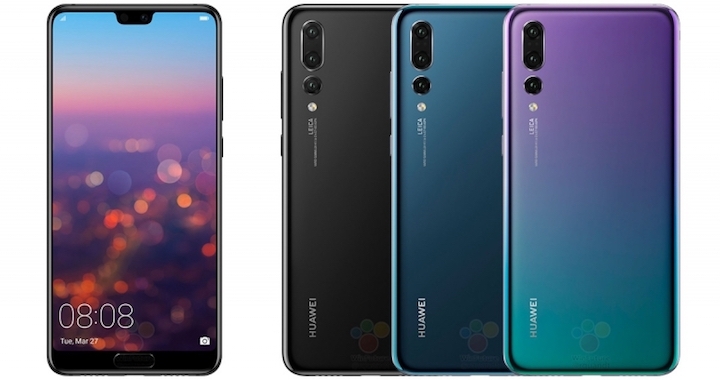 The three Huawei P20 smartphones were released in the Philippine market late last week with the Huawei P20, P20 Pro, and P20 Lite. The P20 series smartphones created a whole new level of smartphone photography with their revitalized Leica-partnered camera system. Blazing a trail for smartphone photography, the Huawei P20 series introduces the all-new Leica Dual Camera, most especially the P20 and P20 version. Designed for life on the go with no compromises, the P20 series is the best Huawei smartphone just got even better. The new Huawei P20 series smartphones are inspired by the luminous waves of light energy that fill our cosmos. These inspirations were put into realization with the curved glass body juxtaposes the concepts of strength and light for a truly illuminating smartphone design. The high-gloss finish made via a ‘high-hardness’ vacuum protective coating and nano-vacuum optical gradient coating. This surface is just as robust as those on other HUAWEI products, but its high gloss sheen can show slight signs of wear over time. Witness the power of next-generation screen technology as the all-new FullView Display bursts into life on its 5.8″ display for the P20, 6.0″ for the P20 Pro and 5.84″ for the P20 Lite. Its curved glass body juxtaposes the concepts of strength and light for a truly illuminating smartphone design. The screen is offering a radiantly bright display while consuming less power. The edgeless fingerprint sensor with smart navigation, instead of the virtual bar, can offer an additional informative area. Huawei and its partnership with Leica made die-hard camera fans fall in love with smartphone photography. Now the Huawei P20’s new generation Leica Dual Camera, crafted to deliver clear, richly detailed expert quality photographs, will inspire you to fall in love all over again. The world’s first Leica Triple Camera system was introduced with the P20 Pro version. The Huawei P20 Pro pushes the boundaries of creative mobile photography. Inspired by the kinetics of light and precision-engineered to capture detailed, rich, atmospheric images any time of day or night. The Huawei AI image stabilization allows you to capture incredible blur-free, handheld shots in low-light using Night Mode. No more tripod. Night Mode also balances high-contrast scenes for effortlessly clear, light-balanced snaps in any setting. This specification is not available on the P20 Lite version. Powering the AI-driven photography system of the HUAWEI P20 and the P20 Pro is the Kirin 970 chipset, driving a host of new premium extras and creative tools for a superior smartphone experience. The P20 series have the following price tags: Huawei P20 Pro (128 GB) – ₱44,990; Huawei P20 (128 GB)– ₱34,990; and Huawei P20 Lite (64 GB) – ₱15,990. The P20 Pro is currently available at Lazada in Midnight Blue and Black color variant. The P20 Pro can be found in the same Midnight Blue and Black, while the P20 Lite is in Midnight Black and Klein Blue. You can check them all at the Official Huawei Store in Lazada.